Automatic transmissions are the most commonly installed drivetrain option on modern vehicles. Unfortunately, this convenient automatic shifting is sometimes accompanied with problems that can be expensive to repair. The downloadable PDF complete workshop repair manuals available on the right often include symptom charts to help fix model specific transmission issues. This is especially true if your vehicle sets a diagnostic trouble code in the P0700 range. These failures often point to defective sensors and shift solenoids. With that said, they can also indicate a more serious problem. In this section of the you fix cars website we will discuss them in general on this page, but at the bottom you’ll find detailed articles that talk about the theory of operation. Maybe more important then how they work you’ll find posts about common transmission problems with specific models. Let me give you an example. My 2004 Chevrolet S10 Blazer truck came with the mighty 4L60E four speed transmission. Unfortunately for my model year many of these automatic transmissions were fitted with a substandard sun shell supplied from China. When the sun shell cracks you lose reverse. The reason I tell this story is that the 4L60E transmission is reliable on many model years. On my particular year this is not the case. If you’re experiencing a problem with a specific unit you may want to do some checking to see if it is a repair trend or common problem. Checking for technical service bulletins in an online auto repair manual like all data is a great place to start searching. This type of transmission does not need a clutch pedal and shifts through the forward gears without control from the driver all by itself when the drive range is selected. Instead of a clutch and pressure plate to connect the engine to the rear wheels the automatic transmission uses a torque converter. This is a fluid coupling to transfer the power from the engine’s flywheel to the transmission input shaft and then back to the wheels. The torque converter stall speed allows for proper engine idle without moving the vehicle and smooth transfer of power at all engine speeds. On vehicles of the last 20 years the shifting is controlled by both electrical and hydraulic principles working together. The hydraulic part of the equation is an intricate network of passageways, fluid controlled pistons and servos plus other components that use the magic of hydraulic oil pressure to control the internal operation. However, the electrical part of the equation contains the solenoids and electrically controlled valves that open and close to allow hydraulic fluid pressure to flow in the desired direction and accomplish a specific task. On modern vehicles the main computer is what controls the operation of the electrical circuits. The computer uses its varied inputs from sensors such as vehicle speed and throttle position to determine what actions are necessary for the transmission to apply. As an example, a solenoid valve can open to let hydraulic fluid flow to apply a certain gear set to perform a specific action. These gear sets provide many foreword speeds as well as reverse. This system is extremely complicated and my auto shop instructor once told me that the inventor of this modern marvel wound up in a mental institution. Even if you’re not going to repair it on your own it can be helpful to understand how it operates and the inherent problems that may occur on the exact model car or truck you drive to work everyday. I am still building out this transmission repair module. I add new articles about once a week. Give this page a bookmark or share with friends. Check the Diy auto repair blog for recent posts. Without this component the vehicle will not move. The theory of how it works is a mystery to some. Now you can learn how it works and see inside the automatic transmission torque converter. Some older General Motors vehicles can experience a shuddering and stalling condition when slowing down. This article discusses some common problems with the torque converter clutch. We consider the modern transmission with all of it’s electronics complicated. But these computerized components can actually simplify diagnosis. See how on my page about electronic transmission controls. A common complaint from drivers is unusual noises. see how to determine if the problem is from the automatic drive-train on my page about diagnosing transmission noises. In the automobile some fluids pull double duty by lubricating and providing cooling for its component. See why you may want to add a transmission cooler and change out your automatic transmission fluid. Some people that are into high performance will find this next article about shift kits interesting. Learn how the factory manipulates shift quality using the transmission valve body. Other performance lovers may buy a car with an auto stick option. See why they use this to sell cars than actually increase performance on my page about manual shifting automatics. This is another page about shifting problems that discusses what can go wrong both internally and externally. It provides more information on the quality and feel of the transmission shifting. 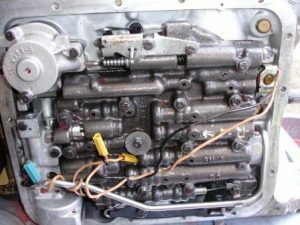 This is a fun article from my blog (opens up in a new window) that talks about how diagnosing automatic units has changed over the years and discusses a few specific common transmission problems. Here is a post on my other site which again is a blog (opens up in a new window) that discusses the hydraulic oil and thoughts about automatic transmissions fluid service. If you want to see what other kinds of automotive information is available here I recommend a visit to the homepage. 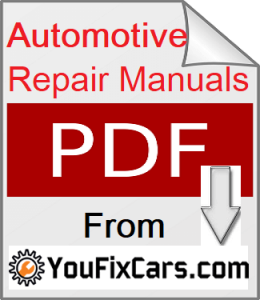 There you can also find out how to get answers to car repair questions.